Dancing on Ice kicked off for its final season last weekend. 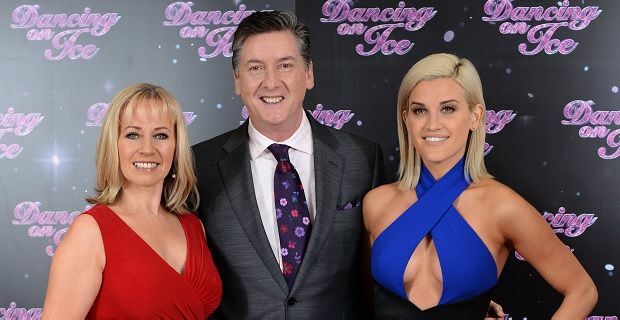 The first show saw half of the fourteen contestants take to the ice and in dramatic fashion two celebrities – Jorgie Porter and Joe Pasquale - were eliminated by the end of the evening. Last night’s second launch show of the series presented the remaining seven contestants. The show kicked off with a group performance before the first performance by Beth Tweedle. As winner of the most recent series of the show she would likely have been the least rusty when it came to her skating skills and as a gymnast she is strong and fit. She did a good performance to score a 28.5 out of 40. David Seaman was back with his real life partner Frankie. The pair got together having met at the 2008 Dancing on Ice tour and are now engaged. She put a lot of trust in him adding a head banger to the performance. Thankfully they came out of it unscathed. Gary Lucey gave a reasonable performance although the judges were a little harsh – Jason Gardiner called it dull. Seems they were expecting more. Zaraah Abrahamswent into the show as a potential contender for leaving but she gave everyone a surprise, particularly the judges away with a fast and energetic performance scoring 30.5 out of 40. Sam Attwater, the champion of 2011 was up next. He too was dancing with his real life partner who he too met on the Dancing on Ice tour! Must be the new place to find a mate. They are engaged and due to marry so it was only appropriate that they dance to the Bruno Mars hit Marry You. Todd Carty was back but had obviously failed to make any improvement since his appearance in 2009 when he gave the viewing public what was likely the most memorable Dancing on Ice moment – losing control and skating off the rink. It was full on cheese with his performance but it failed to make the grade with the judges and scored lowest of the night. Last up was previous winner Suzanne Shaw and it must be true what they say that they save the best for last. With a score of 35.5 for her first performance back on the ice it is hard to see where she will go from here but she topped the leader board and sailed into next week's performance. There was only a matter of minutes for voting before the results show announced the contestants who were not progressing. Like last week two celebrities were going to be putting their skates away. Ending up in the bottom three was David Seaman, Sam Attwater and Gary Lucey. Dancing on Ice romance was not popular with the public. Immediately going home was David Seaman. Gary and Sam took part in the skate off. Sam pulled out all the stops with "Irish" Dancing on Ice and got a clean sweep of votes to make it through to next week. Gary Lucey was therefore eliminated. Tune in again next Sunday night ITV1 at 6.15pm to see the final ten all perform together and don’t worry if you miss it – catch up on all the action on Excite UK.